*$371 for 24 months. Minimum purchase required. I have had a number of this model prior, and also the previous model same watch. I like the bit larger size than previous however. I have actually had a lot of different Rolex watches over the years. The only complaint of any, is that timekeeping is not perfect. If you want that, you should buy a Casio Waveceptor or some other atomic time keeping watch. Fit and feel of any Rolex is uncomparable, in my opinion. 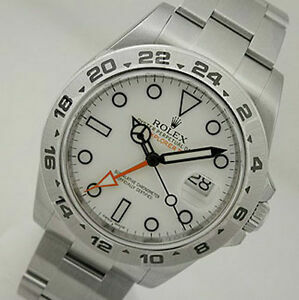 I have had other higher end time pieces and the Rolex has a nicer feel, again, in my opinion. Finish of the band and case is smooth and almost a worn feel. No complaints here. Nice looking, but better buy 43MM Omega Deep Black with superior visual aesthetics and mechanics.